New York, October 1, 2018 – A consortium led by Blackstone (NYSE: BX) today announced that private equity funds managed by Blackstone (“Blackstone”) – together with Canada Pension Plan Investment Board (“CPPIB”) and GIC – have completed the previously announced partnership transaction with Thomson Reuters (TSX / NYSE: TRI) for Thomson Reuters’ Financial & Risk (F&R) business. The Blackstone-led consortium now owns 55 percent of the equity in a new corporation created to hold the F&R business, and Thomson Reuters retains a 45 percent equity stake, at an overall valuation of US$20 billion. The Financial & Risk business is now known as Refinitiv. Refinitiv is one of the world’s largest providers of financial markets data and infrastructure, providing leading data and insights, trading platforms, and open data and technology platforms that connect communities of trading, investment, financial and corporate professionals. It also provides leading regulatory and risk management solutions to help customers anticipate and manage risk and compliance. Through this investment and carve out of F&R by the Blackstone-led consortium, the new Refinitiv business expects to invest in a number of key areas to serve its customer base, which currently includes 40,000 institutions in over 190 countries. This includes further investing in content coverage, AI and analytics across its open data platforms Elektron and Eikon for buy-side, trading, wealth and banking customers. It also plans to invest in enhanced capabilities for its leading platforms for trading, as well as in indices, risk management, and fighting financial crime. Canson Capital Partners, BofA Merrill Lynch, Citigroup, and J.P. Morgan are acting as financial advisors to the Blackstone-led consortium, and Simpson Thacher & Bartlett LLP is acting as legal counsel to the Blackstone-led consortium. Blackstone is one of the world’s leading investment firms. We seek to create positive economic impact and long-term value for our investors, the companies we invest in, and the communities in which we work. We do this by using extraordinary people and flexible capital to help companies solve problems. Our asset management businesses, with approximately $440 billion in assets under management, include investment vehicles focused on private equity, real estate, public debt and equity, non-investment grade credit, real assets and secondary funds, all on a global basis. Further information is available at www.blackstone.com. Follow Blackstone on Twitter @Blackstone. Canada Pension Plan Investment Board (CPPIB) is a professional investment management organization that invests the funds not needed by the Canada Pension Plan (CPP) to pay current benefits on behalf of 20 million contributors and beneficiaries. In order to build a diversified portfolio of CPP assets, CPPIB invests in public equities, private equities, real estate, infrastructure and fixed income instruments. Headquartered in Toronto, with offices in Hong Kong, London, Luxembourg, Mumbai, New York City, São Paulo and Sydney, CPPIB is governed and managed independently of the Canada Pension Plan and at arm’s length from governments. At June 30, 2018, the CPP Fund totalled C$366.6 billion. For more information about CPPIB, please visit www.cppib.com or follow us on LinkedIn, Facebook or Twitter. GIC is a leading global investment firm established in 1981 to manage Singapore’s foreign reserves. A disciplined long-term value investor, GIC is uniquely positioned for investments across a wide range of asset classes, including equities, fixed income, private equity, real estate and infrastructure. In private equity, GIC invests through funds as well as directly in companies, partnering with its fund managers and management teams to help world class businesses achieve their objectives. GIC has investments in over 40 countries and has been investing in emerging markets for more than two decades. Headquartered in Singapore, GIC employs over 1,500 people across 10 offices in key financial cities worldwide. For more information on GIC, please visit www.gic.com.sg. Nordic Capital will support Macrobond in its vision to become the global platform of choice for people working in financial and economic research. Nordic Capital Fund IX announces its acquisition of Macrobond, one of the world’s leading providers of research systems and macroeconomic and financial time series data from primary and third-party sources. Nordic Capital will support Macrobond on its growth journey and will invest to further strengthen the company’s market position. The company’s management team and also founders are reinvesting alongside Nordic Capital. This acquisition is the fifth investment by Nordic Capital’s latest fund, Fund IX, and builds on Nordic Capital’s recognised expertise and outstanding track record in the fintech sector. Macrobond was founded in 2008 in Malmö, Sweden, with the intention of developing a better way for people to perform economic and financial research. Today, customers include central banks, investment banks, hedge funds, corporates, asset managers and universities. The company is well-positioned in an attractive segment of the global information services market, which is experiencing growth driven by strong industry trends such as productivity, user friendliness and integrated solutions. Macrobond has 156 employees, of which 90 are employed in data acquisition and development teams and offices in Europe, Asia, and the United States. The company has developed a global and scalable SaaS application that offers an extensive database of macroeconomic and financial time series data coupled with powerful and dynamic analysis and charting tools. The application enables users to access and navigate time-series data and to mine data faster, automate repetitive tasks and simplify the workflow. 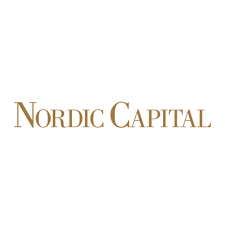 “Nordic Capital is one of the most prominent and experienced investors in the fintech sector in the Nordic region and therefore the ideal partner to continue supporting Macrobond’s growth strategy. With our unique database, tailored access and applications, they will support us as we continue to realise our vision to become the platform of choice for people working in financial and economic research worldwide,” says Tomas Liljeborg, CEO, Macrobond. “The demand of financial big data analysis and visualisation is increasing continuously and Macrobond’s management team has an outstanding proven track record in financial software analytics. We look forward to working with them to expand Macrobond’s offering and its leadership as the platform of choice. With our long-term experience of accelerating growth in companies, we are confident that Nordic Capital is a great partner to support Macrobond on its growth journey,” says Fredrik Näslund, Partner at the Advisor to the Nordic Capital Funds. The parties have agreed to not disclose the financial details of the transaction. Nordic Capital was advised by a group of leading international advisory firms including Arma Partners and KPMG. Macrobond Financial is a young and rapidly expanding, international company with offices in Europe, Asia, and the United States. Its flagship product, the Macrobond application, is a single platform that combines an extensive macroeconomic and financial database with easy-to-use tools for analysis and smart data visualisation. BCB Medical, the Nordic market leader in gathering and analysing clinical data, has raised new capital from a group of high quality institutional investors led by Standout Capital and Tesi. The investors will support BCB Medical’s continued growth in the Finnish market and the launch of BCB’s quality register software and clinical data products internationally. “Thanks to Standout Capital and Tesi’s investment, we will have more resources to serve the Finnish healthcare market and invest in new services and markets related to analysing and comparing clinical data. Our aim is to spread best practices in outcome-based healthcare, which will improve the quality of treatments and achieve a better quality of life for patients,” says BCB Medical’s Managing Director, Petteri Viljanen. According to Viljanen, technology in healthcare is advancing at a fast pace across all specialist fields. That is why the continuous development of software requires resources and new expertise. BCB’s quality registers include among others diseases cancers, musculoskeletal diseases and heart diseases. “With this investment, we will double our personnel from 50 to 100 employees in Finland over the next three years. At the same time, we will expand the coverage of our quality registries from the current 60 disease groups to 100, which can be considered an achievement even on an international scale,” Viljanen points out. In November 2016, the procurement unit formed by Hospital District of Helsinki and Uusimaa (HUS) and KL-Kuntahankinnat chose BCB Medical as the technical supplier of the quality registries with a goal to harmonise treatment quality on a national level. “As of today, more than 9 000 healthcare professionals in 200 clinics are using our software on a daily basis. The objective is to put in place comparable monitoring in all of Finland’s hospital districts,” says Viljanen. Viljanen stresses that the digital model created in Finland for comparing treatment quality is well advanced on an international level. The company has over the years collected a structured clinical database of 1 million treatments with up to 3 000 data points in each treatment – a highly valuable resource for healthcare professionals as well as medical and drug researchers at universities and pharma companies. “We have received a lot of enquiries from other countries concerning the quality registries and the clinical data. We are actively looking for the right commercial partners, especially from the Nordic countries, to launch our services internationally. We could follow the footsteps of the Finnish gaming industry in becoming a global phenomenon in our field, the digitalisation of medical information. Our goal is that, in three years’ time, more than 30 per cent of the company’s turnover should be international,” Viljanen says. “We are very pleased to have these experienced investors join our team. Standout Capital brings world-class expertise in the growth and internationalisation of technology companies and Tesi, as a significant Finnish anchor owner, its huge networks in both Finland and abroad,” says Viljanen. “We are impressed with BCB Medical’s success in working closely with the leading Finnish healthcare providers like HUS in developing software that ultimately benefits patients. BCB Medical is a great example of our strategy to partner with outstanding technology companies that are transforming their industries through digitalisation,” says BCB’s new Chairman and Standout Capital’s Partner, Erik Wästlund. “We want to contribute to strengthening Finland’s key position as a world-leading country in utilising medical information. BCB Medical has long been developing its know-how and products in Finland, and is now ready to take the next step towards the global healthcare ICT market,” says Director Heli Alhroos from Tesi. Following the investment, Standout Capital became the largest shareholder of BCB Medical and together with Tesi, the majority shareholders. Stockholm based Backstage Invest is also participating in the financing round. Old shareholders will continue as minority shareholders of the company. The EQT Mid Market US fund (“EQT Mid Market US”) today announced that it has acquired Data Intensity (“Data Intensity” or the “Company”) from Audax Private Equity. Data Intensity is a leading independent provider of mission-critical application and database managed services. Founded in 2001, Data Intensity helps its customers increase the value of their enterprise software and improve the efficiency of critical business processes. The Company cost-effectively supports the full scope of a customer’s enterprise data, making their most critical applications and data manageable and actionable. The Company manages more than 3,000 application instances and 10,000 databases across multiple IT environments including on-premise, private cloud, public cloud, and hybrid cloud. Data Intensity is headquartered in Bedford, Massachusetts with over 650 employees and operations in the U.S., U.K., Europe, Australia, and India. Kirkland & Ellis LLP served as legal advisor to EQT. Jefferies LLC and DH Capital LLC served as financial advisors to Data Intensity. Ropes & Gray LLP served as legal advisor to Data Intensity and Audax Private Equity. Golub Capital provided financing for the transaction. EQT is a leading alternative investments firm with approximately EUR 37 billion in raised capital across 24 funds. EQT funds have portfolio companies in the US, Europe, and Asia with total sales of more than EUR 19 billion and approximately 110,000 employees. EQT works with portfolio companies to achieve sustainable growth, operational excellence, and market leadership. Data Intensity is a leading independent managed services provider for enterprise databases, applications, business intelligence solutions and analytics. Our expertise in applications, infrastructure and cloud platforms helps organizations optimize their software investments and business processes, achieving higher availability, performance, velocity and scalability. Our solutions combine best-in-category technology, world-class services, a flexible business model and deep expertise gained from partnering with our customers. Our goal is to cost-effectively support the full scope of a customer’s enterprise data lifecycle, making their most critical applications and data manageable and actionable. IK Investment Partners (“IK”), a leading Pan-European private equity firm, is pleased to announce that the IK Small Cap I Fund has reached an agreement with the founders and the management team to acquire a minority stake in Third Bridge (or “the Company”), a fast-growing primary research provider with a global footprint. Financial terms of the transaction are not disclosed. Third Bridge provides its clients with unique insights into companies and markets through access to industry experts and market research. Serving a client base of over 300 customers, including private equity funds, consulting firms, hedge funds and corporates, Third Bridge has a global footprint, with six offices covering America, Asia and Europe. Since inception in 2007, the Company has doubled its turnover every two years, and now employs more than 550 people. The Company’s strong growth has been supported by growth capital investor Beringea, which provided funding through its ProVen VCTs in November 2012. Under the agreement, Beringea will sell its shares in Third Bridge. “As a client of Third Bridge, our paths have crossed many times, and we have always been very impressed by the Company and the exceptionally experienced management team. We share their values and vision for growth, and as a minority partner, we are proud to support the continued development of Third Bridge’s business model and expansion of the service offering,” said Pierre Gallix, Partner at IK Investment Partners and advisor to the IK Small Cap I Fund. “Third Bridge has seen fantastic growth over the last 10 years, and the support from IK will enable us to maintain this strong performance, and bring us closer to our vision of being the first port of call for investors seeking the best intelligence. We are excited about working with the IK team, who share our ambitions and have a stellar reputation for supporting founder-led businesses,” said, Emmanuel Tahar, CEO and co-founder of Third Bridge. Completion of the transaction is subject to legal and regulatory approvals. Sentiance announces today that it has secured €8 million in funding led by Volta Ventures, with co-investor KPN Ventures. All previous investors including Samsung Catalyst Fund, Qbic, Pamica (investment company of Michel Akkermans) and top management participated in the new funding round. The investment will be used to execute on Sentiance’s vision to gain leadership, strengthen its intelligence platform and accelerate the growth globally. The company’s platform uses machine learning algorithms and deep learning techniques to analyse IOT sensor data from mobile phones, wearables and IoT gateways. Sentiance turns this data into rich behavioural and contextual insights: understanding and predicting how people go through their everyday lives. Clients use the Sentiance platform to enrich their first-party customer data with real-life behavioural data so they can deliver context-aware and highly personalized experiences. Sentiance powers a broad range of applications including world class telematics and driver scoring, personalized health coaching, real-time customer engagement as well as smart home products and services. “As IOT gains momentum consumers are rapidly adopting smart objects in their everyday lives. The sensors in these IOT devices generate a ton of data about how they behave and why they behave the way they do. Sentiance helps companies make sense of this new and very powerful data. Some of the world’s most innovative companies are adopting our platform to help them make their customers’ lives safer, smarter, healthier and convenient. Ultimately the Internet of Things should be about people, not things. We believe the real promise of IOT is the Internet of You.” said Toon Vanparys, CEO of Sentiance. KPN Ventures is the venturing arm of KPN, The Netherlands’ leading telecom & ICT company. KPN Ventures aims to build value-creating partnership with innovative technology companies, providing access to capital, expertise, network and customer channels. It focuses on early growth-stage investments in European companies in the segments: Internet of Things, Connected Home, Digital Healthcare, Cyber Security, Mobile/OTT services, Cloud Computing and Data & Analytics. KPN Ventures has its main office in Rotterdam, The Netherlands and has invested in a.o. Actility, EclecticIQ, SecurityMatters, Viloc, Sensara, CardioSecur and Nello. Reiten & Co Capital Partners VII L.P. has sold its 32.7% ownership interest in Data Respons ASA, at NOK 26.5 per share, representing a total transaction sum of approximately NOK 426.3m. The transaction was done through an accelerated bookbuilding process yesterday. Data Respons has over the years strategically positioned itself at the heart of the on-going digitalization trends and developed into a leading European provider of embedded solutions and high-quality R&D services. Every journey has its end, and Reiten & Co would like to thank Mr Kenneth Ragnvaldsen (CEO) and the highly skilled organization for outstanding contribution to value creation. “We have been invested in Data Respons since 2009 and it has been very rewarding to work with such a competent and professional team. The company has successfully strengthened its position within R&D services, both through accretive acquisitions and organic growth. It is well positioned in the centre of the digitalization and internet-of-things megatrends, with products and services that the customers value highly,” says Narve Reiten, founding partner of Reiten & Co.
“Through our sale of shares we expect the free-float and liquidity in the stock will increase, and that the company will continue to perform strongly,” Mr. Reiten adds. Mr. Reiten has served as a board member since 2015, and he will continue as a board member. The brokers required Mr. Reiten to invest NOK 10 million in shares with a six-month lock up. He will therefore continue as a shareholder in Data Respons, through his private investment company. Summa Equity establishes Summa Digital – a platform for big data enabled businesses with ground breaking technologies within their respective field. The platform holds three businesses that Summa Equity has added to its portfolio. Summa Equity has invested in Swedish IVBAR Institute AB, Norwegian Documaster AS and UK-based Qlearsite Ltd. All three companies are early actors with leading solutions within different areas of big data solutions. Summa Equity is focused on helping Summa Digital companies in their next phase of development, with funding and support to scale up the businesses for broader roll-out and growth acceleration. IVBAR is a Swedish digital health company that has developed a big data analytics platform, ERA Vision, that enables improved management of healthcare through a focus on patient value. The platform improves transparency and provides unique levels of insight into both health outcomes and resource allocation, and is useful for both payors and providers of healthcare. IVBAR’s solutions have been developed in collaboration with both public and private partners, and the company has succeeded in consolidating vast amounts of highly fragmented healthcare data, enabling a level of insight previously unseen in the system. ERA Vision is used for advanced benchmarking, performance monitoring and calculation of reimbursement. Documaster is a Norwegian digital record management company with core competence on digitization, information management and cloud-based archiving of valuable data. The company has developed a unique technology that addresses an increasing need for efficient and compliant archiving, driven by the rapid growth in digital documentation as well as an increased regulatory focus on record management. The solutions enable organisations to capture, process and preserve data in one single application, where it can easily and instantly be accessed through user-friendly retrieval and search functionality, whilst catering to relevant compliance requirements. The company offers a system agnostic archiving core that is compliant with EU and local regulations. Qlearsite is an early actor in the rapidly growing field of people analytics for human resource management, based in the United Kingdom. The company has developed a technology that is specifically designed to analyse and make predictions about the behaviour of people in a workforce, using both structured and unstructured data. The product suite ranges across data connection and reporting, predictive analysis, and survey analytics, to create a complete toolbox for impactful analysis. The company defines their approach as Organisational Science, using intelligent analytics technologies with data generated by employees to enable corporations to understand the culture within their organisation and get important insights about how to get the best out of their talent base. Summa Equity was formed in 2016 by partners with a shared vision of building a leading specialised private equity firm in the Nordic lower mid-market, positioned to capture the investment opportunity provided by the thematic megatrends expected to drive growth over the long term. The Firm focuses on sectors related to four megatrend driven themes: resource scarcity, energy efficiency, changing demographics and tech-enabled businesses. Summa Equity closed its first fund in February 2017 with commitments of SEK 4.5 billion. EQT VI Limited (“EQT VI”) has entered into an agreement to sell Bureau van Dijk (or the “Company”) to Moody’s Corporation (“Moody’s”) for an enterprise value of EUR 3.0 billion. Bureau van Dijk, operating from its Amsterdam headquarters, captures, treats, standardizes, and distributes the world’s richest private company dataset, with coverage of more than 220 million companies. Over some 30 years, the Company has built partnerships with over 160 independent information providers, creating a platform that connects customers with data, to address a wide range of business challenges. The growth initiatives during EQT VI’s ownership have resulted in strong financial performance, with Bureau van Dijk generating revenues of EUR 258 million and EBITDA of EUR 132 million in 2016. “Bureau van Dijk has continued to strengthen its market leading position while accelerating financial growth. This development exemplifies EQT’s industrial and growth-focused approach, aimed at supporting management teams in making very good companies even better. The journey continues for Bureau van Dijk – this transaction has a compelling strategic rationale and provides great opportunities for the future. The management team has done an impressive job and we look forward to seeing Bureau van Dijk continue to develop as a part of Moody’s”, says Kristiaan Nieuwenburg, Partner at EQT Partners and Investment Advisor to the EQT VI fund. “Over the past three years we have been on an exciting and transformational journey with the support of EQT and their industrial experts. We are now delighted to join forces with Moody’s and continue to develop our business”, says Mark Schwerzel, Deputy CEO of Bureau van Dijk. Moody’s Corporation is the parent company of Moody’s Analytics, which offers leading-edge software, advisory services and research for credit and economic analysis and financial risk management, and Moody’s Investors Service, which provides credit ratings and research covering debt instruments and securities. The agreement is subject to customary anti-trust clearance and the transaction is expected to close in the third quarter of 2017. The sellers were represented by Quayle Munro and J.P. Morgan. EQT is a leading alternative investments firm with approximately EUR 35 billion in raised capital across 22 funds. EQT funds have portfolio companies in Europe, Asia and the US with total sales of more than EUR 19 billion and approximately 110,000 employees. EQT works with portfolio companies to achieve sustainable growth, operational excellence and market leadership. Following approval by the antitrust authorities in the US and Europe, Nordic Capital Fund VIII, (“Nordic Capital”), and Novo A/S today announce the closing of the acquisition of ERT from Genstar Capital for an enterprise value of USD 1.8 bn. Nordic Capital Fund VIII will control 70% of the institutional equity and Novo A/S will hold the remaining 30%. With 1,300 employees world-wide and with its headquarters in Philadelphia USA, ERT is a global leading provider of advanced high-quality electronic data collection solutions for clinical development programs. Their systems are widely used by pharmaceutical and biotech companies innovating drug and device therapies to optimize clinical trial management, and to document safety and efficacy clinical outcomes data. Since its inception in 1972, ERT has developed from a technology start-up to a company that today supports the conduct of more than 1,500 clinical trials annually. This is achieved through the compilation of a variety of clinical outcome data from more than 2.7 million patients, in strict accordance with the standards defined by the major regulatory agencies. Building on ERT’s leading technology stronghold and operational performance within clinical outcomes data capture, analysis and reporting, the company’s management and new owners are aiming to pursue further add-on investments to expand the operational platform of ERT in the years to come. Dr. Raj Shah, Partner, NC Advisory (UK) LLP, advisor to the Nordic Capital Funds said “We are impressed by the investments made in the technical platform as well as management’s overall development of ERT as a trusted healthcare service partner and the leading healthcare technology provider. Their leadership position in the attractive eCOA market, supported by similar strong positions in Cardiac Safety and Respiratory Solutions, provides a robust platform for future growth”. Commenting on the investment in ERT, Michael Shalmi, Head of Large Investments in Novo A/S said, “We are pleased to partner with Nordic Capital Fund VIII for the joint ownership and development of ERT, given their extensive health care related buy-out experience and excellent life science investment track record. The many growth options available to ERT, organically as well as by acquisitions, represent exciting investment opportunities which we look forward to pursuing in our partnership with Nordic Capital Fund VIII and the management of ERT”.